Not exactly falling into a makeup rut, but I have to say that I haven't been as adventurous as I used to be before when it comes to my eye makeup. I've been focusing more on the skin (base makeup, bronze and all that highlight. I love a good highlight) and have been experimenting and playing around to see what works for me, and what doesn't. 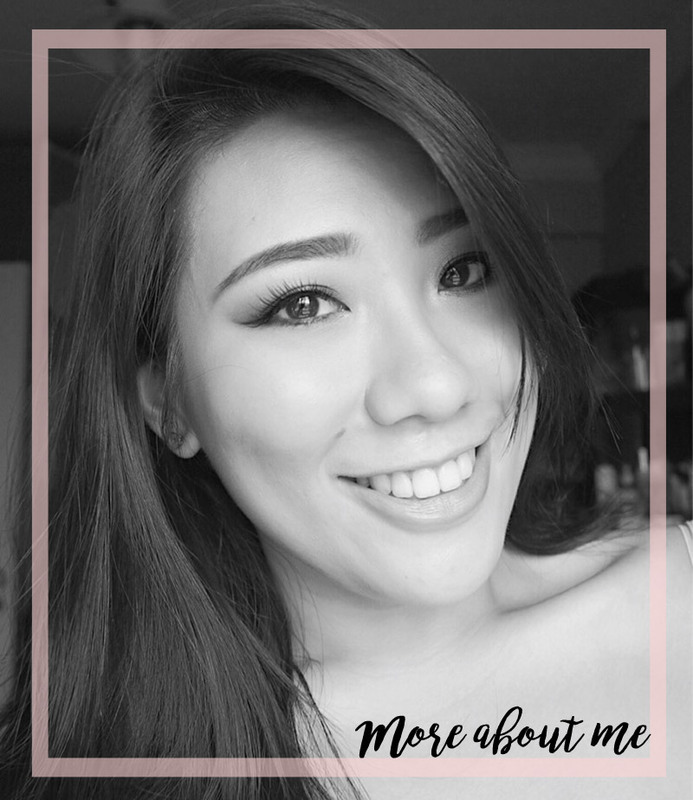 When I first started with makeup, I was really interested in eyeshadows and all that jazz, while seriously neglecting my base (which is a serious mistake). The perfect smokey eye could look dull and insipid if the base application is not done well. Upon realising this jaw dropping fact, I turned my focus on perfecting the skin. This helped me tremendously when I was freelancing back then as well as when I do my own makeup. Of course, trial and error is usually necessary and muddy, uneven splotches are the stepping stones to that impeccable base. I thought of sharing some tips with you here. Hopefully it will aid you in your quest for glam. First rule of thumb, getting a shade of foundation that matches. Instead of testing foundation on your arm or the back of your hand, try swiping one stripe down from the lower part of you cheek and past your jawline to the neck. Your foundation should aim to match your neck rather than your body. Considering the amount of sun protection we slather on our faces, our face tends to be a shade (or even a few shades) lighter than our neck. So do match that up for that seamless transition. Additionally, test it out before purchasing it as some foundations do tend to oxidise after application, making it a shade or two darker than before. This could be due to the mixture of oils from our skin and the formulation or the pH of the skin. Of course, humidity of the environment does play a part and Singapore's weather is a tremendously challenging. Sadly for us in Singapore, it is difficult to obtain samples from Sephora (why?!) so do some research and swatch it, walk around for 20 minutes and take a look at it again. Next, depending on your moisturiser and primer, the choice of foundation can play a difference in term of application and lasting power. There are mainly two kinds of foundations in the market - water-based and silicon-based. Take a look at the ingredients and decipher it for yourself. 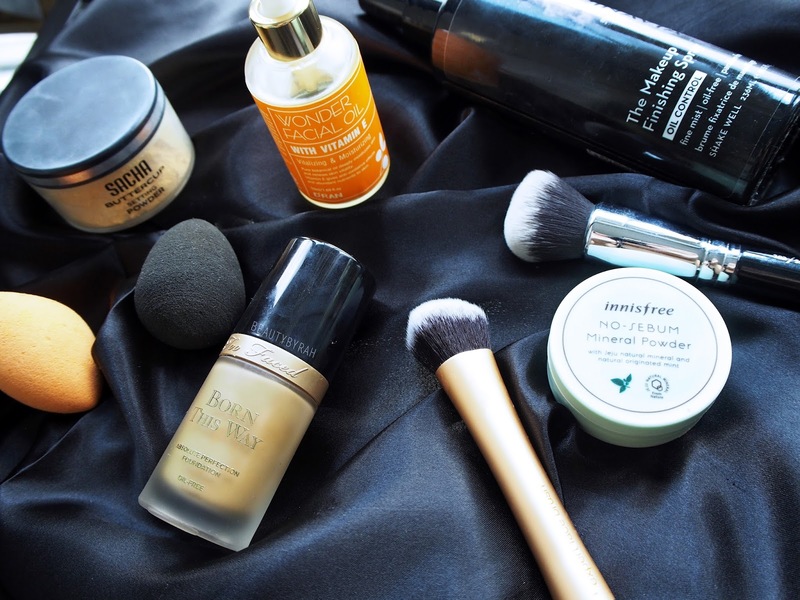 Silicon-based foundations tend to have ingredients ending with -cone / -methicone / -siloxane near the top of the list (meaning higher concentrations as ingredients are usually listed in order according to their concentrations). Water-based foundations would contain more water than silicone, thus any ingredients ending with-cone / -methicone / -siloxane would be much lower in the list. Note: oil-based foundations are pretty rare. As we have learnt in science, oil and water do not mix well due to the differing densities and attraction of molecules. Same theory applies here. In general, I try to aim to use a water-based foundation over a water-based primer/moisturiser and a silicon-based foundations atop silicon-based primers/moisturisers. This is because using contrasting bases could result in uneven foundation application and patchiness as blending would be more challenging. For example, using a silicone-based primer with a water-based foundation on top of it often causes the foundation to pill because the primer creates a silicone barrier. When you try to apply a water-based foundation on top of that, the silicone repels the water in the foundation, and the water in the foundation does not absorb properly into your skin, resulting in unevenness in your application. 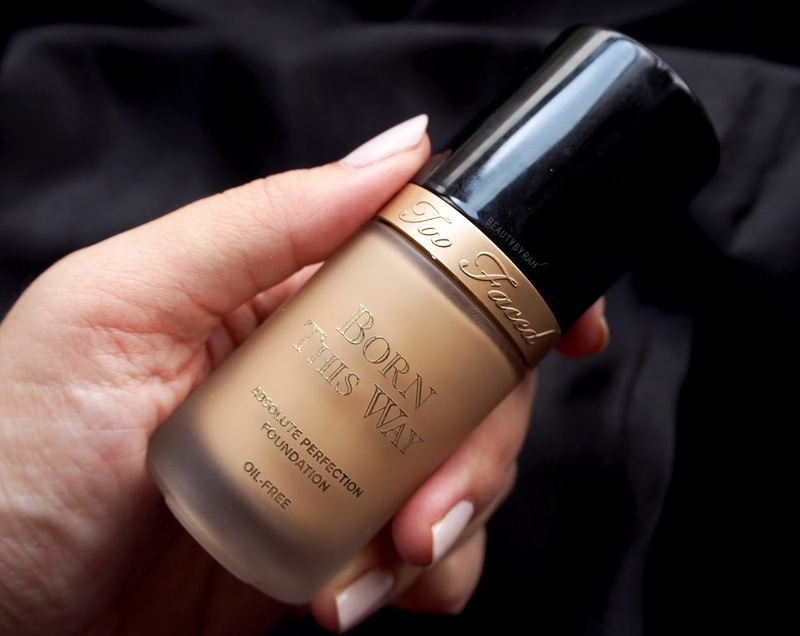 For example, the Too Faced Born This Way Foundation is silicon-based. Ingredients/Ingrédients: Water (Aqua) (Eau), Cyclopentasiloxane, Glycerin, Aluminum Starch Octenylsuccinate, Isododecane, Polyglyceryl-4 Isostearate, Cetyl PEG/PPG-10/1 Dimethicone, Hexyl Laurate, Dimethicone, Ethylhexyl Methoxycinnamate, Magnesium Sulfate, Diphenyl Dimethicone, Tribehenin, Triethoxycaprylylsilane, Disteardimonium Hectorite, Polysilicone-11, Propylene Carbonate, Tetrahexyldecyl Ascorbate, Cocos Nucifera Water, Ethylhexyl Palmitate, Rhododendron Ferrugineum Extract, Alcohol, Silica Dimethyl Silylate, Lecithin, Pistacia Lentiscus (Mastic) Gum, Butylene Glycol, Potassium Sorbate, Sodium Hyaluronate, EDTA, Caprylyl Glycol, Phenoxyethanol. May Contain/Peut Contenir (+/-): Titanium Dioxide (CI 77891), Iron Oxides (CI 77491, CI 77492, CI 77499). I usually wait for my moisturiser and sunscreen to be fully absorbed into the skin (or until it becomes no longer tacky to the touch) before I start on my makeup routine. I found that if I begin applying primer and foundation before my moisturizer and/or sunscreen has fully absorbed, my makeup breaks up sooner and does not last as long. The kind of application tool does produce differing results as well. Dense kabuki brushes do make buffing in the foundation easier and provide fuller coverage than say, a stippling brush. 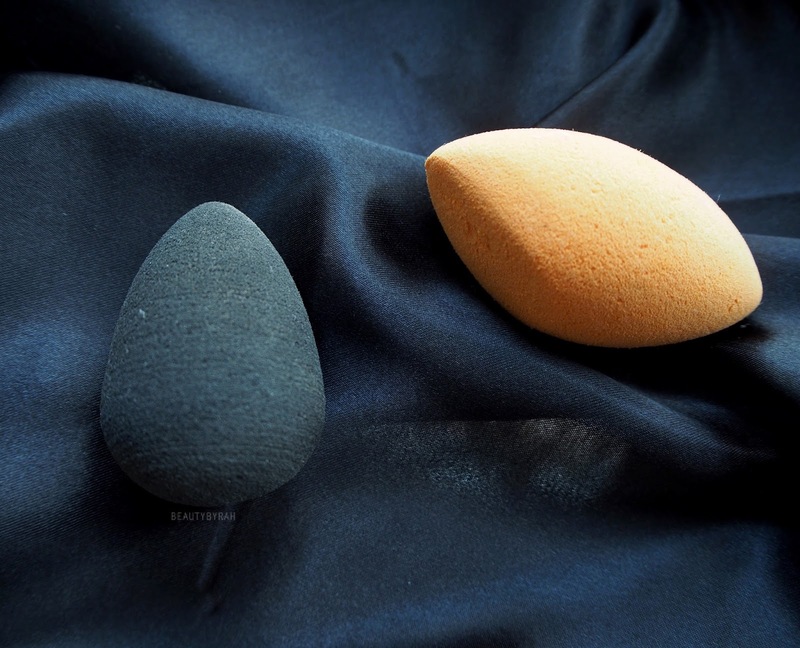 Beauty sponges such as the Beauty Blender or the Real Techniques Miracle Complexion Sponge do sheer out the foundations a little too, but provides a much more natural finish as compared to a buffing brush. So test out various methods and see which do you prefer. 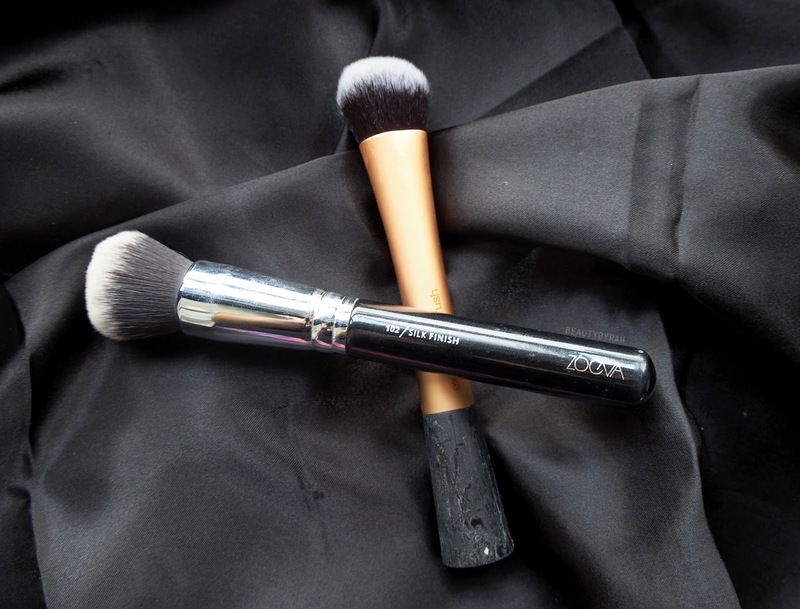 Buffing brushes that I recommend are the Real Techniques Expert Face Brush and the Zoeva #102 Silk Finish Brush. Despite me having oily skin, being in an air-conditioned environment for long periods of time does not benefit the skin nor the makeup. I tend to find my foundation attaching to my dry patches (around my nose) at the end of the day. 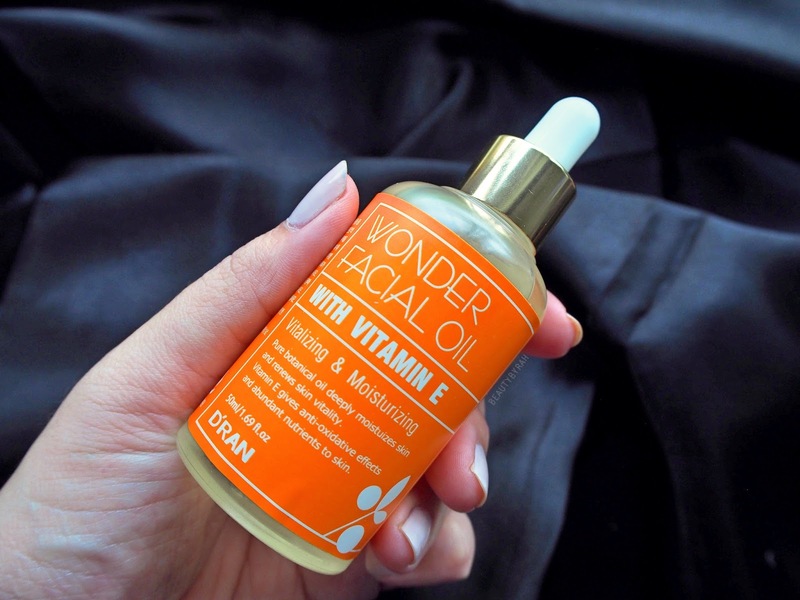 Thus, I do like adding a facial oil (favourite at the moment: D'Ran Wonder Facial Oil) to my foundation to make a foundation cocktail, if you will. Do note, I only do this with silicon-based of foundations, as adding oil to a water-based foundation would result in the foundation separating and an utter mess on the face. 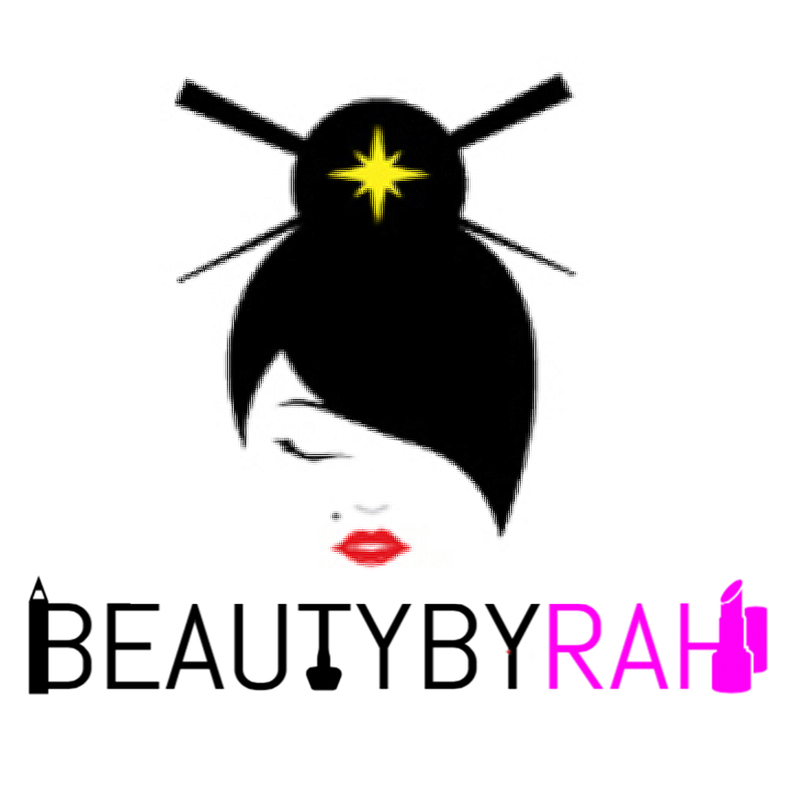 After satisfied with my cocktail, I apply it onto my skin and buff it in with my kabuki brush. Being oily, I have to set my makeup to ensure that it doesn't budge or transfer easily. However, I do not bring along powder or oil blotting sheets with me through out the day as I am lazy. Thus, what I do in the morning is everything and I want to make sure all that effort does not go to waste and lasts as long as possible. To set the cream or liquid products I apply onto the skin, I like to use a setting powder and I simply dust it all over my face. 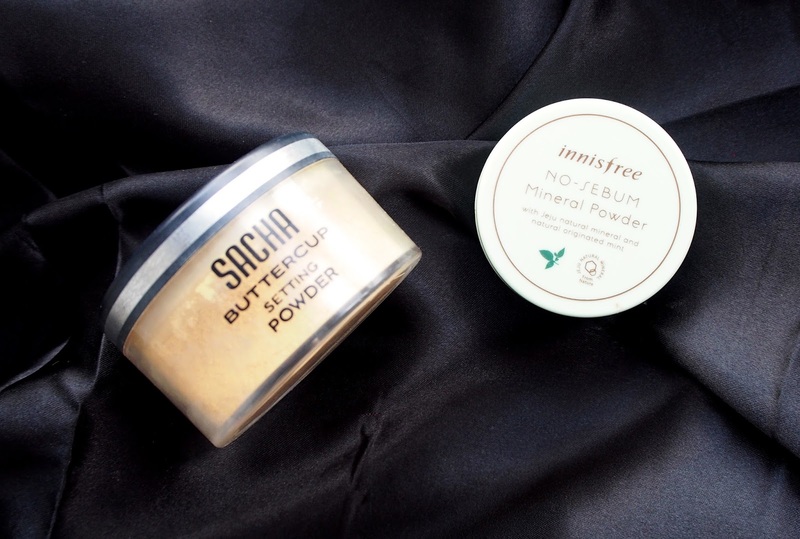 Some powders that I really enjoy are the Innisfree No Sebum Mineral Powder and the Sacha Buttercup Setting Powder (not translucent, it had a mustard yellow tint to it) as they really do control the oil well and I like how my skin looks even at the end of the day. I just follow up with blush, bronzer and highlight after. Apologies for the blurry image :(. Still figuring out the settings! Last step I do is to spray my face with a setting spray as it gets rid of the powdery finish on the skin and helps the powder to set. The Skindinavia Setting Spray is one of my favourites, but any spray will do. I mix up my own as well - half rose water, half distilled water and a few drops of my D'ran Wonder Facial Oil - and this works great to get rid of any powder residue and refresh the skin. Hope these tips were useful and that you learnt a new thing or two! Do share with me if you have more tips too! * For iHerb orders, you can use the code QFR109 for 5% off your purchase!